Joss Whedon’s long anticipated adaptation of Much Ado About Nothing hit cinemas in Australia last week and while on holiday in Melbourne I had the great pleasure of checking it out. 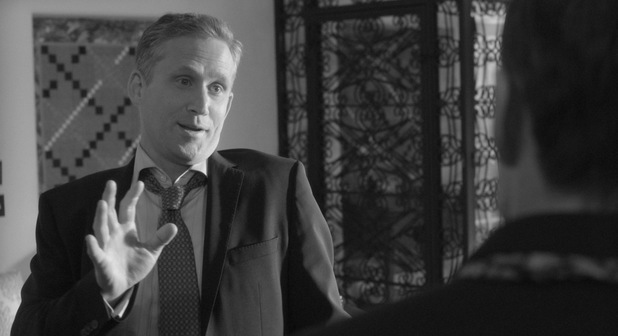 The film, shot entirely at Whedon’s home in a 12 day break from production on last years blockbuster The Avengers, is a modern-day take on the Shakespearian classic, with a comedic twist. It’s been a long time in the making; the product of years of dinner parties at which Whedon’s favourite actors from his various television shows would gather and perform Shakespeare plays together. There is plenty here for Shakespeare fans, Whedon fans and punters alike. 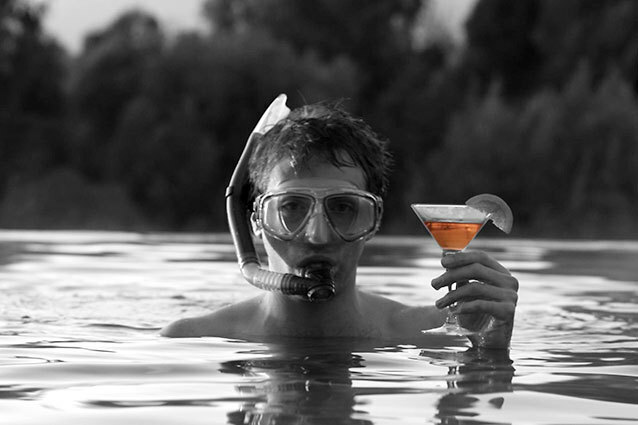 Follow me under the jump for a detailed review of Joss Whedon’s Much Ado About Nothing. 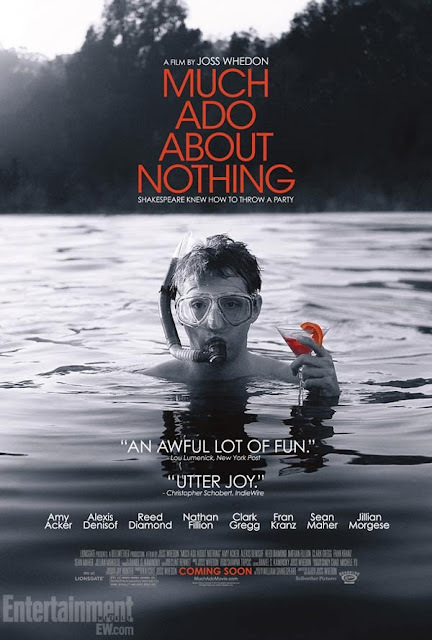 To sum up my impressions of Much Ado About Nothing in a sentence is easy; it is both the best Shakespeare adaptation and the best play adapted for the screen that I have ever seen. For comparison; the film adaptation of Les Miserables could not hold a torch to the complexity of story-telling, character development and performance in this film. Even the BBC’s recent Hollow Crown mini-series, which exceeded all of my expectations, was not as watchable, accessible and enjoyable as this. 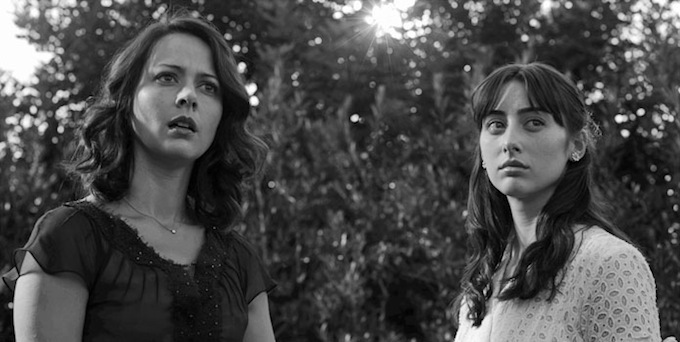 Joss Whedon and his crew have an exceptional knack for telling old stories within an authentic modern context. The story itself is simple enough, centring around a group of people staying with one another and the various miscommunications and schemes that take place between them. The main two characters, Beatrice and Benedick, despise one another and the concept of love itself; seeing so many around them turned into bumbling fools and getting hurt as a result of falling in love. The alteration in this version of the story is that Beatrice and Benedick slept with one another once and left on bad terms. It makes the modern reading of the story far more believable. Upon arriving, Claudio sees Hero, daughter and only heir of Leonato, and falls in love. He seeks Don Pedro’s help in securing a marriage to her but when the Don’s brother Don John discovers this, he and his cronies go to great lengths to deceive Claudio and Don Pedro and make them believe that Hero is not a maid. Meanwhile Don Pedro, Claudio, Leonato and Hero have hatched a plot to expose Benedick and Beatrice’ true love for one another and convince them both to get married. They slowly admit that they love one another to both to themselves and to each other. Upon Hero’s disgrace, great pains are taken to discover the truth of the matter and bring all parties to a resolution, including the marriage of Claudio to Hero and Beatrice to Benedick. Integral to the film adaptation’s success is that it features many actors who have been in Joss Whedon’s other television and movie projects, which means that the casting is for the most part dead perfect. Benedick and Beatrice, the lead male and female of the story are fantastically portrayed by Alexis Denisof and Amy Acker, whom Whedon fans will know from Angel and Dollhouse. Joss always said that if he ever made this adaptation Acker and Denisof were his only choices to play the prickly, snarky and impassioned leads. It’s easy to see why when watching the film; the pair are believable dramatic narrators and also incredibly funny. The injection of humour into the script is a genius and trademark move on Whedon’s part and plenty comes from his two leading actors. For example, upon overhearing a group of characters say that Beatrice is in love with Benedick, we see Denisof leap through the air, commando roll in the background and hide behind a branch in the grass. I laughed so hard I hurt. When Beatrice overhears characters discussing Benedick’s love for her, Acker falls down a flight of stairs, bangs her head hiding under a kitchen counter and pulls exceptionally funny facial expressions. As lovers the two have amazing chemistry; their romance has character and charm. Fans of Angel also get the special treat of seeing Wesley and Fred together at last. Playing Beatrice’ cousin Hero is new-comer Jillian Morgese, who was fantastically vulnerable and looked so much like Acker it was easy to believe their kinship. Acker and Morgese’ relationship was subtly executed, making Beatrice’ rage at her cousin’s betrayal as palpable as Hero’s despair. Fran Kranz (Dollhouse, Cabin in the Woods) brought a new level of complexity and humour to the often bland Claudio; Hero’s husband to be. The things that Fran can convey with his eyes alone are just amazing. I had heard that Hero’s father and host to the party, Leonato, was originally supposed to be played by Anthony Stewart Head of Buffy fame. 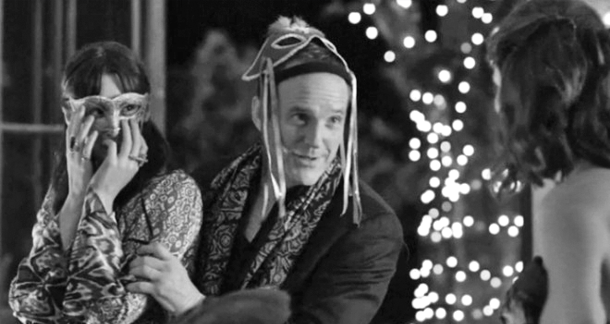 To hear that he couldn’t do it at the time was devastating, but Clark Gregg (The Avengers, Iron Man) is a better Leonarto than anyone could have hoped for, mixing humour and prestige in equal measure. 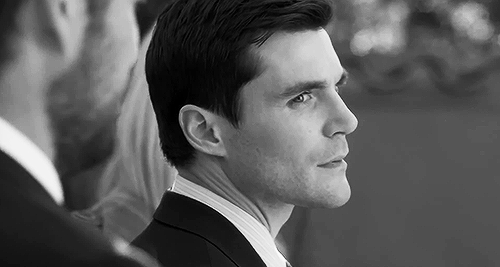 Sean Maher (Firefly) was an interesting choice as Don John and my only complaint about his performance was how little he was in the film, which meant that his menace didn’t quite translate as strongly as it could have. Reed Diamond (Dollhouse) as Don Pedro was fantastic. He sparked especially well off Clark Gregg and Fran Kranz in their playful schemes to set Beatrice and Benedick up with one another. 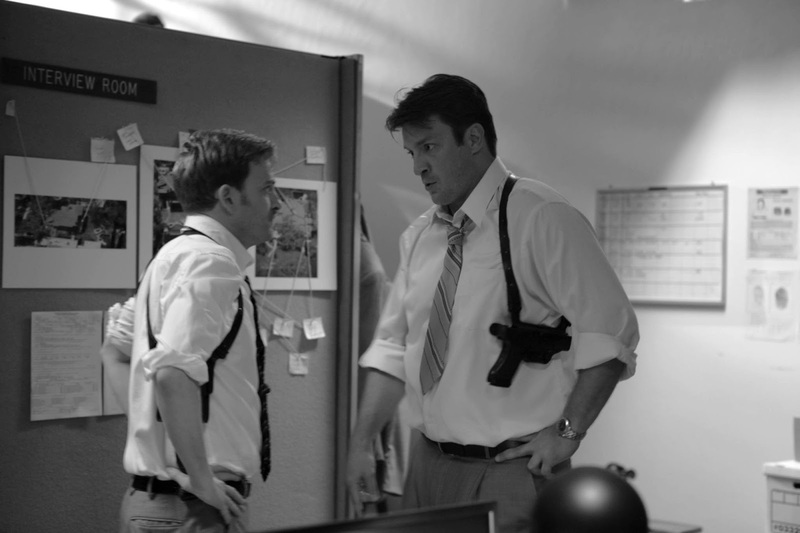 And just when you thought the list of Whedon alumni couldn’t possibly get bigger, Nathan Fillion (Firefly, Buffy) and Tom Lenk (Buffy) show up as Dogberry and Verges; the newly crafted buddy cop comic duo. Their comedic timing and interaction with their co-stars and one another left cinema goers in stitches. I was glad that Joss Whedon has as much time for Shakespearean humour as I do! The story itself is more believable than many other adaptations of old plays into new films that I have seen. Joss and his team go to great lengths to give it both a classic and modern atmosphere. The house has grand gardens and many rooms but is entirely shot in black and white, making it feel dated and adding elegance. The costumes were all selected from the actors’ own wardrobes and therefore have something of the actors’ personalities in them. The first party of the film showcases simple masks, acrobats and Jed Whedon and Maurissa Tancharoen playing a grand piano and singing as the house band (yes I yelped a little). Joss, Jed and Maurissa created the music from the lyrics of Shakespeare and gave them a very modern jazz feel. Dated plotlines like the chastity of Hero, the villainy of Don John, the way in which the other characters scheme to set up Beatrice and Benedick and the challenge of Benedick to Claudio are carefully altered to better reflect modern times. For example the chastity of Hero is remarkably reshaped for the modern era to resemble unfaithfulness rather than chastity in of itself. Monologues were done in more creative ways, adding to the modern feel and the humour and by far the best alteration was the injection of humour; turning it into more of a rom-com than a serious literary execution. Joss is a huge supporter of equality for woman and does a lot of work with Equality Now. Most of his work features strong, well structured female characters and this adaptation is no different. Joss adapted the screen-play to not only showcase Hero and Beatrice’ relationship but also allow interactions with Margaret and Ursula (the maids) and a greater role for Ursula in giving her some of Margaret’s scenes. The gender of Conrade was also changed to a female to allow different interactions with Don John, Borachio and Dogberry. Balancing this a little better made the interactions in the film rich and believable.